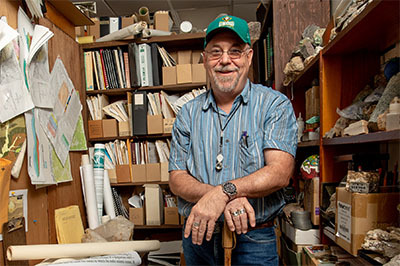 Associate professor of geology Dave Blake says he first “caught the bug” for field mapping as an undergraduate student during a course at the University of North Carolina Chapel Hill. REMINDER: Randall Library and the TAC Hosting Digital Makerspace Open House Today from 3-6 p.m. REMINDER: Welcome Reception for Honors College Director Shawn Bingham Today at 3:30 p.m.